Detailed designs for a scheme to transform a busy area of Portland Road, a key street in Worthing town centre, are set to be revealed to the public. Part of Portland Road would be pedestrianised under the proposals being developed by West Sussex County Council in partnership with Worthing Borough Council through the Worthing Growth Programme. A new continental-style boulevard is planned, along with an interactive art installation with revolving square cubes, a spokesman from Worthing Borough Council said. This will be flanked by new planted ‘green walls’, trees and semi-vertical bike racks – all of which will make the area more attractive, according to the council. At the heart of the new area will be a place for people to gather and socialise at all times of the day. Above the street, designers have suggested a canopy of suspended kites, which light up at night and become ‘an eye-catching attraction’, the council said. Feedback from a consultation held with residents, councillors and businesses has been used to create the final designs. Once the plans have been approved, work on the area is set to begin in early 2020. Councillor Kevin Jenkins, Worthing Borough Council’s Executive Member for Regeneration, said: “These improvements have the potential to turn Portland Road into a vibrant destination for visitors and residents, as well as contributing to our wider ambition to regenerate the town centre. “We made it clear from the start that the input of everyone was to be welcomed. “Now the designs have been revealed I hope they can see that we not only listened but we have delivered. The plans will be revealed in detail at a public exhibition held between Monday 21 January and Friday 8 February in Worthing Library on Richmond Road. Two drop-in events will take place in Worthing Library (24 January 12pm-5pm) and Worthing Town Hall (6 February 12pm-5pm) where people can discuss the project with representatives from West Sussex County Council and Worthing Borough Council. Louise Goldsmith, Leader of West Sussex County Council said, “The Portland Road project kick-starts ambitious plans to completely transform Worthing town centre under the Growth Deal agreement. “The eleven public realm projects form part of a £12 million plan delivered over the next five to ten years to regenerate the public spaces in the town centre. 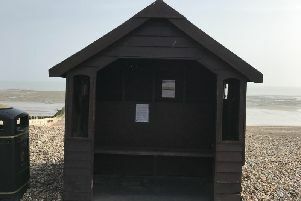 The plans, known as public realm improvements, form part of a Growth Deal agreed by West Sussex County Council and Worthing Borough Council in 2017. The aim is to create cohesive, well designed and connected public spaces between Worthing Railway Station, the town centre and seafront.